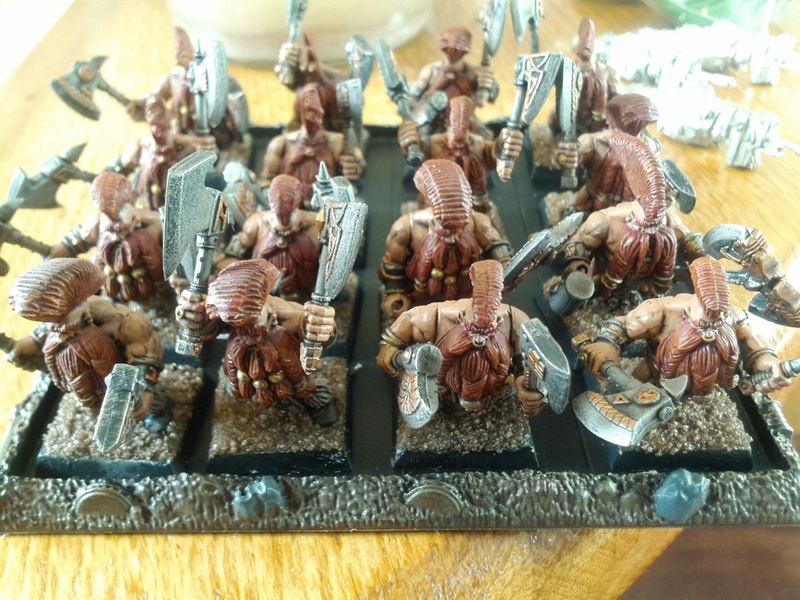 As part of my vacation painting and basing spree I finished my WFB dwarf army today. 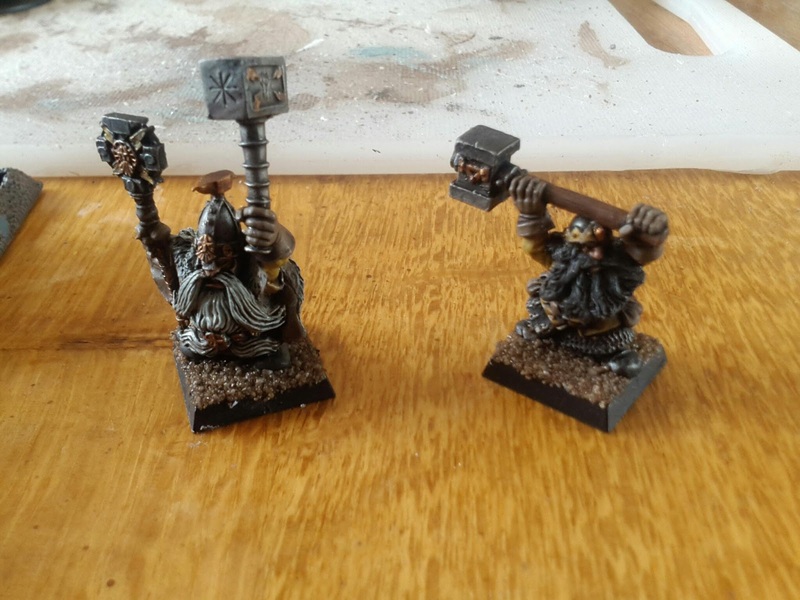 I painted my Anvil of Doom and dwarf lord, and based my slayers ( very nice avatars of war plastics) and scouts. With these models my dwarf army is officially finished. 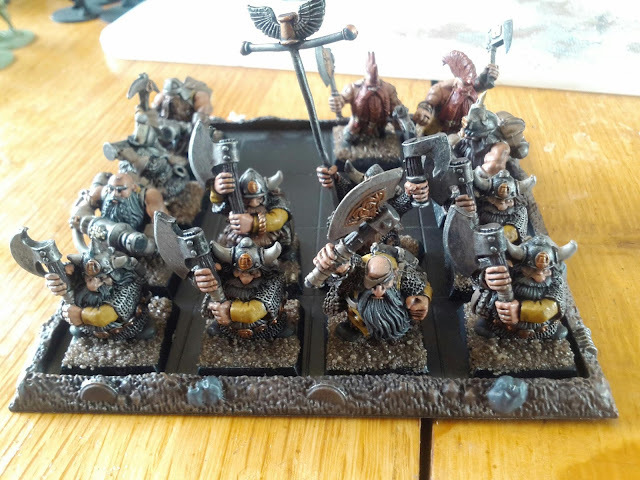 Hopefully I can squeeze in a game with my entire dwarf force before everybody switches form 8th to Age of Sigmar.